Season Preview – The Toronto Raptors are in prime position to build off the most successful season in franchise history. The young nucleus of Kyle Lowry, DeMar Derozan, Jonas Valanciunas, Amir Johnson, and Terrence Ross is intact and a year older, with Derozan and Valanciunas having just participated in the FIBA World Cup. The Raptors acquired Lou Williams from the Hawks to serve as their offensive firepower off the bench. And they are also developing two Brazilian big men (Caboclo and Nogueria) who may pay dividends in 2015-16. 2014-15 will be successful if: The Raptors make it to the 2nd round of the Eastern Conference playoffs and have at least 2 All-Stars. Season Preview – Two of the biggest additions for the team have been Phil Jackson (president of basketball operations) and Derek Fisher (head coach). With Carmelo Anthony in the fold for the next 4 seasons guaranteed and plenty of cap space coming up in 2015-16, the Knicks are starting to look like they have a plan. Fisher will likely implement the triangle offense, which will play off the scoring abilities of Anthony and JR Smith to maximize the effect of role players like Calderon, Amare Stoudemire, and Tim Hardaway Jr. It will be a bit of a transition year, but in the weak Eastern Conference, the Knicks will have the ability to make the playoffs. 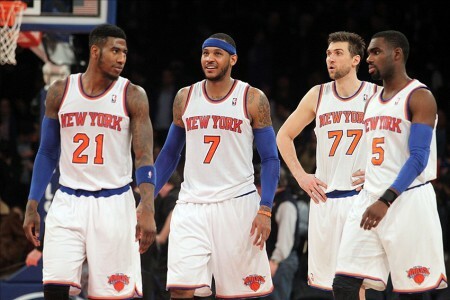 2014-15 will be successful if: The Knicks make the playoffs. 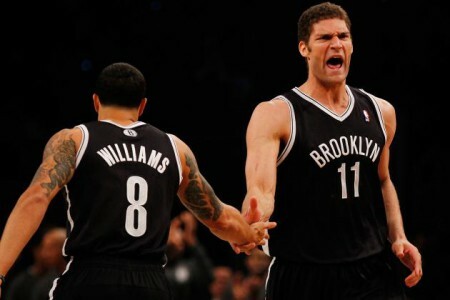 Season Preview – The Brooklyn Nets seem to be on the cusp of a rebuild (reload?). Their “all in” move from last offseason (acquiring Pierce, Kevin Garnett, and Jason Terry from the Celtics) did not pan out and the Nets now find themselves with only one of the those 3 still on the roster. Brook Lopez (foot) and Deron Williams (both ankles) are once again coming into the season recovering from surgeries, and Garnett seems to know the end of his career is near. The Nets have some good young role players in Mason Plumlee, Bogdanovic, Karasev, and Teague, but their star players are either at the end of their run or are injury-prone. Season Preview – The Celtics are in the beginnings of a rebuild and would like nothing more than to use this season to get their young core (Smart, Young, Kelly Olynyk, Jared Sullinger, and Avery Bradley) plenty of development and playing time together. Along with that, the team has two valuable expiring contracts in Rajon Rondo and Brandon Bass to help out in their rebuilding process. 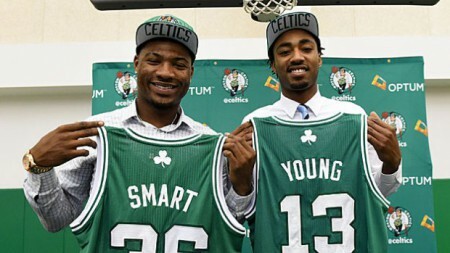 2014-15 will be successful if: The young players show progression and the Celtics end up with a Top 7 pick. Season Preview – I’ve never seen a more obvious tank job in my life. The entire being of the 76ers at this point is to collect draft picks and young players at whatever cost. That’s not necessarily a bad plan, but everyone else who has done has at least attempted to look like they were trying. They drafted 2 players in the first round in the last draft that likely will not play for the organization this season (Embiid and Saric). This will be Nerlens Noel’s rookie season and last season’s Rookie of the Year, Michael Carter-Williams, is coming off off-season shoulder surgery. The team traded its best veteran in Thad Young and heads into the season as one of the youngest teams in the league. 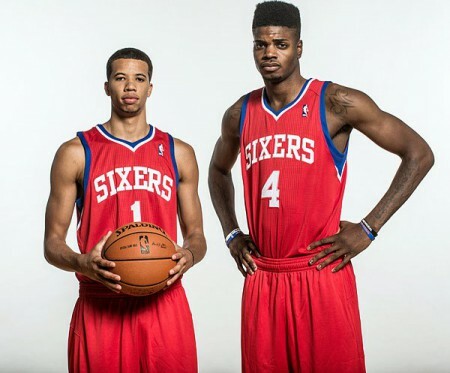 2014-15 will be successful if: The 76ers end up with a Top 3 pick and their young players continue to develop.